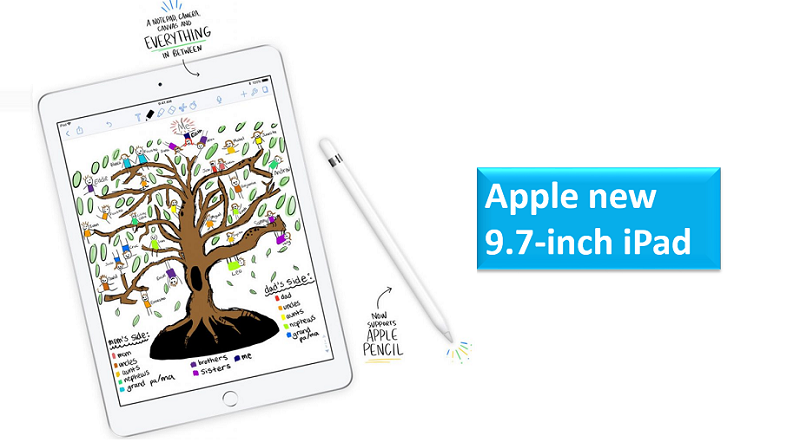 Last month Apple introduced a new 9.7-inch iPad with Apple Pencil support, A10 Fusion chip at its Creative Education event in Chicago. Although, the company has announced that it will be available in India in April through Apple Authorized Resellers starting at Rs. 28000. The Flipkart has already started taking pre-orders for the Apple new 9.7 inch iPad starting today. The iPad sports a 9.7 inch Fully laminated Retina Display with 264 ppi at a resolution of with 20148 x 1536 pixels. It also has Fingerprint-resistant oleophobic coating and Supports Apple Pencil. It is powered by A10 Fusion chip with M10 coprocessor motion coprocessor and runs on iOS 11. The device comes with 32GB/128GB variants. It has 8 MP 1080p camera, f/2.4 aperture, Panorama (up to 43MP) rear camera and on the front side it has 1.2MP HD front-facing FaceTime HD camera, f/2.2 aperture. The device supports 4G LTE (optional), Wi Fi (802.11a/b/g/n/ac); dual channel (2.4GHz and 5GHz) and HT80 with MIMO, Bluetooth 4.2. It has Touch ID fingerprint sensor also. The mobile packs 32.4-watt-hour rechargeable lithium-polymer battery with up to 10 hours of surfing the web on Wi-Fi, watching video, or listening to music. It has a size measurement of 240x 169.5x 7.5mm and Weight: 469g (WiFi) / 478g (WiFi + Cellular). 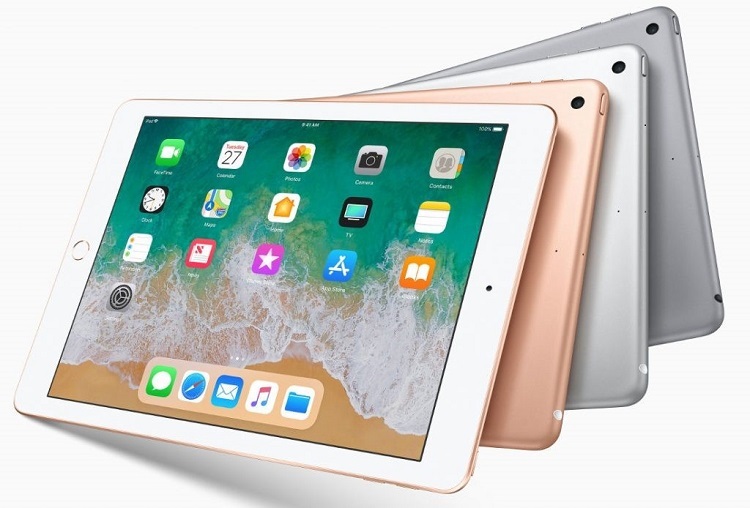 The Apple new 9.7-inch iPad is priced at starting Rs. 28000 and comes in Silver, Gold and Space Gray colors. It is available for pre-order from Flipkart and will start shipping from April 20th. Share us your views on Apple new 9.7-inch iPad in the comments section below.